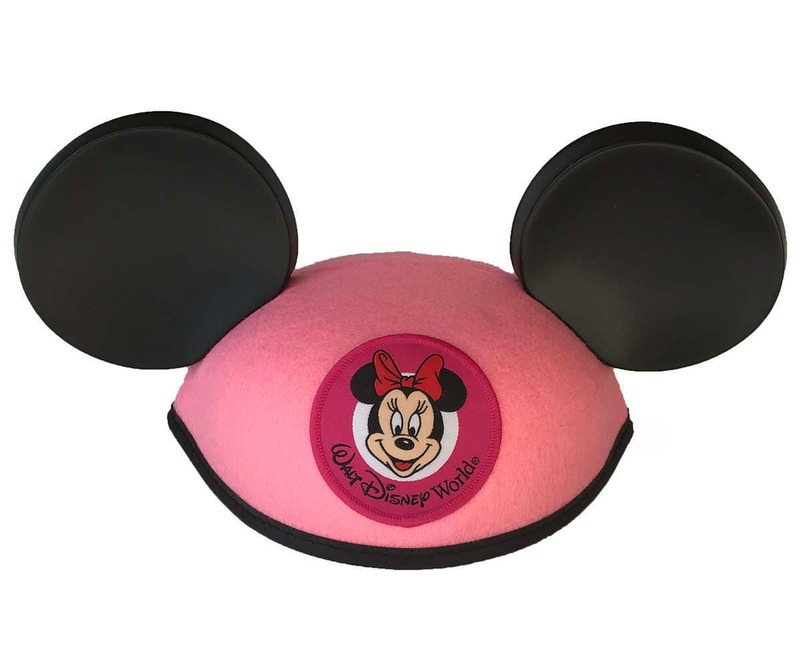 Walt Disney World Minnie Mouse Ear Hat is crafted from pink felt with black plastic ears and a sewn-on embroidered Walt Disney World / Minnie Mouse patch. These are authentic Ear Hats direct from Disneyland! 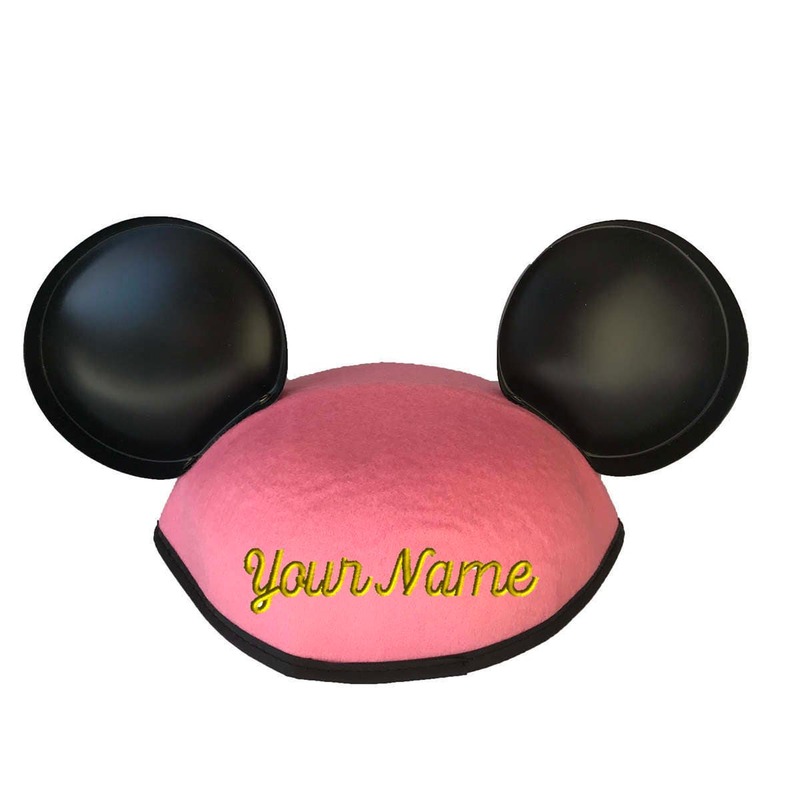 This Ear Hat is personalized on the back with a name or phrase of your choosing. For best results, we recommend that you limit personalization to 10 characters and spaces. Longer names or phrases can be embroidered, but the font gets increasingly small with each additional letter. We customize each Ear Hat on our own embroidery machines. 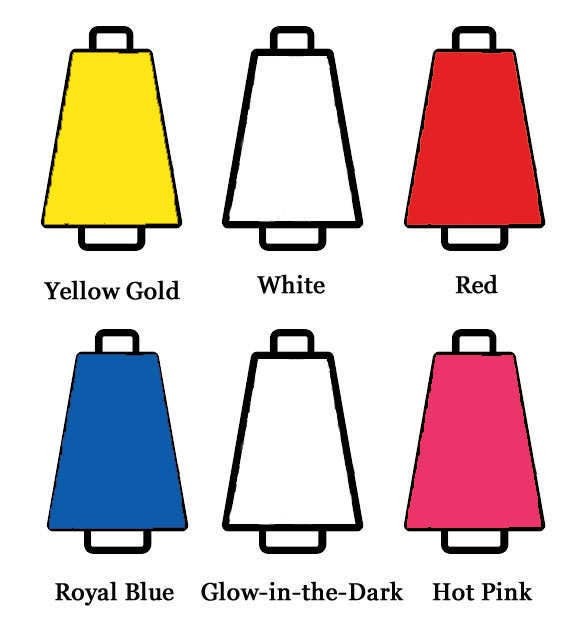 We offer five standard thread colors, but are happy to try to match other colors upon request. Black, Red, White or Hot Pink thread looks best on this Ear Hat. For extra fun, choose Glow-in-the-Dark thread and watch the embroidery light up under black light! We currently offer five basic fonts and four premium fonts, and are happy to try to match other fonts upon request. The Nameplate and Nightmare fonts have only capital letters; the other fonts have upper and lower case letters. For best results with the basic fonts, we recommend that you limit personalization to 10 characters and spaces. Longer names or phrases can be embroidered, but the font gets increasingly small with each additional letter. 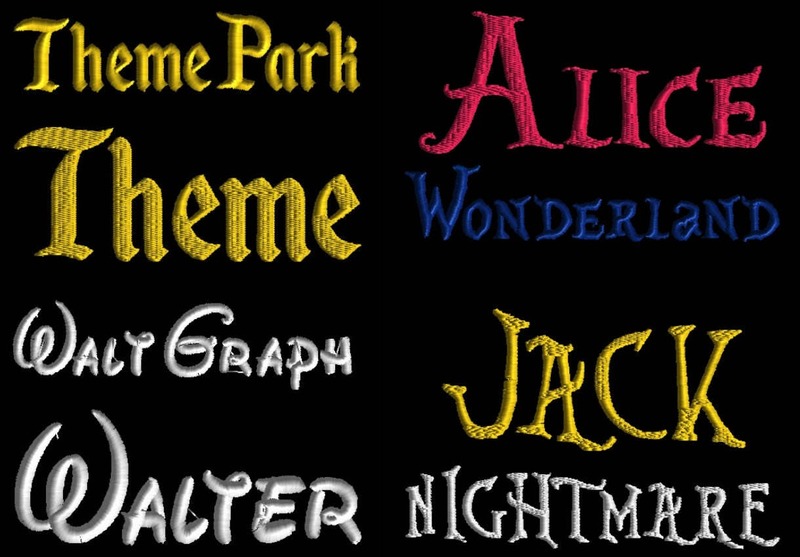 The four premium fonts, Walt-o-Graph, Theme Park, Wonderland and Nightmare, each come in two sizes. See the photos for a comparison of each size. There is a limit of 10 characters and spaces using these premium fonts. 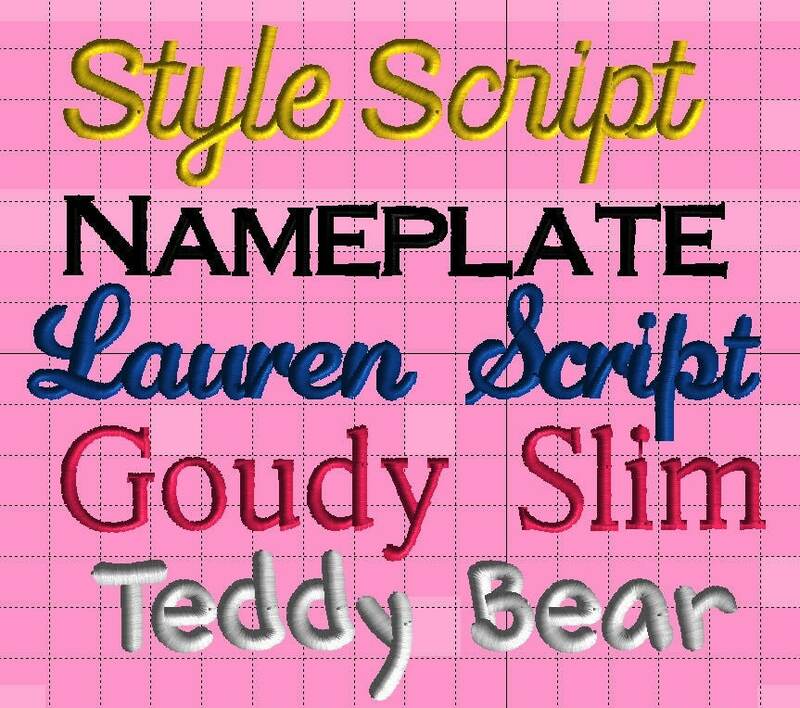 For names or 6 letters or less, we have the option of the small or large font. For names longer than 6 letters, we can only use the smaller font. We will use the font size that best fits your name, unless you specify otherwise. If your order includes a mix of long and short names, we will embroider all hats using the same size font unless you specify otherwise. If you are ordering more that one personalized item, please be very specific in your instructions. Please leave all personalization information in the "note to seller" box at the time of checkout. I am totally amazed by these ears! Way better than I expected and super fast, too. Exactly as pictured and fits my baby girl perfectly! Great item. Exactly what I needed. Great! Adorable and arrived very fast.